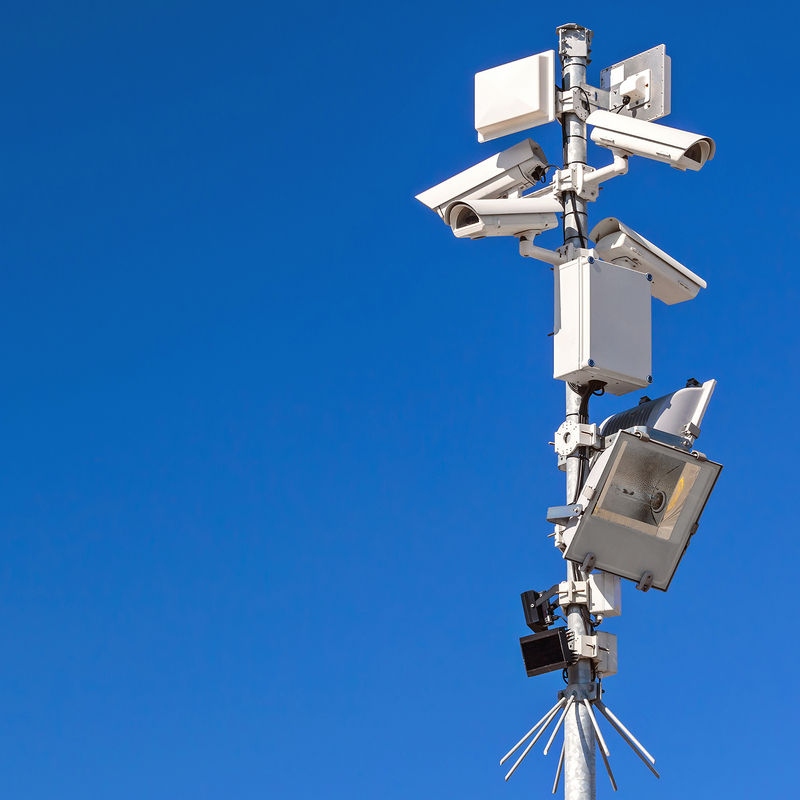 Local governments and law enforcement are becoming increasingly more reliant on networked surveillance cameras in order to monitor densely populated urban areas. London is a notorious example of urban surveillance, where there is reportedly one camera for every 11 residents, an ironic reality given George Orwell’s prescient novel, “1984,” which was published more than 65 years ago. 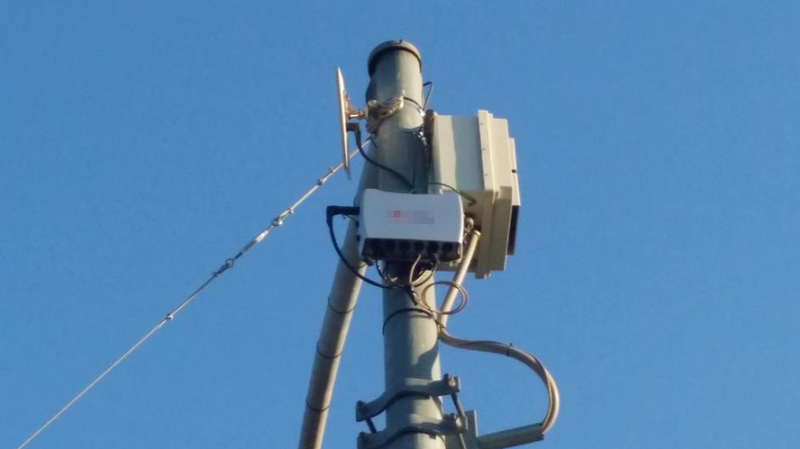 Not surprisingly, many of these cameras, in London and elsewhere, are networked wirelessly into the Internet so they can be remotely monitored by law enforcement. Many of these wireless connections are not secure. As a result, though they are intended to combat crime, criminals not only have the capacity to passively monitor security camera feeds, but can also inject code into their networks, providing fake footage or knocking the systems offline entirely. Vasilios Hioureas, a malware analyst at Kaspersky Lab, tells a story of how he once climbed a large fountain in a public place, only to meet a booming voice from a loudspeaker telling him kindly – but assertively – to get off the fountain. The voice on the other end, of course, was alerted via surveillance footage. Thus, Hioureas undertook some research to determine the security posture of networked cameras deployed in cities around the world. His findings were both troubling and encouraging. Many of the setups, as the blurring indicates, prominently displayed the names and model numbers of the equipment deployed throughout the network. This made it easy for Hioureas and fellow researcher, Thomas Kinsey from Exigent Systems Inc., to recreate this network in a lab environment. All they had to do was jump online and look at the specs for the various hardware deployed, find some publically known vulnerabilities and associated exploits and they could easily hack the equipment. To be clear, they did not hack into the real-world surveillance system, but analyzed its hardware and communication protocols and built a scaled model. However, they did have a look at data packets passing wirelessly through the network and found that those packets were not encrypted. In other words, they were able to see all the data on the network – in this case video footage and other communication data – in plain text. The good news, the pair of researchers determined, was that the equipment in use contained very solid security controls. The bad news is that those controls were not being put to use in real-world environments. On home networks, all the internet-capable devices connect to the Internet and one another through a router. Any device connected to that router could potentially trick the other devices into thinking it’s the router and monitor or change those data by performing what we call a man-in-the-middle attack. The surveillance camera network examined by Hioureas and Kinsey was more complicated than a home network, because the data needed to travel longer distances. Simply put, the surveillance network traffic would travel from any given camera through a series of nodes eventually leading back to a hub, which we’ll call the police station. The traffic follows a sort of path of least resistance where each node (or camera) has the capacity to communicate with several others and chooses the easiest path back to the station. Hioureas and Kinsey built a series of fake nodes that purported to offer a direct line of communication to a simulated police station. Since they knew all the protocols used on the network, they were able to create a man-in-the-middle node that seemed to offer the path of least resistance, causing the real nodes to relay their traffic through the malicious one they set up. One implication of this attack is a sort of Hollywood scenario where cybercriminals spoof footage to the police station, making it appear as if there is an incident requiring an emergency response occurring in one location in order to distract law enforcement from a real criminal incident occurring in a separate location. Beyond that and the obvious privacy issues at play, malicious actors could track individuals by monitoring surveillance information or potentially even route the traffic to a fake station, making it so law enforcement no longer receives any real footage. The researchers reached out to the maintainers of the network upon which their experiment was modeled and they are working on fixing their security problems. Similarly situated systems should deploy WPA encryption protected by a strong passphrase on their networks, remove product labelling so it’s harder to determine specific equipment models and encrypt video footage as it moves from the cameras to the police station.